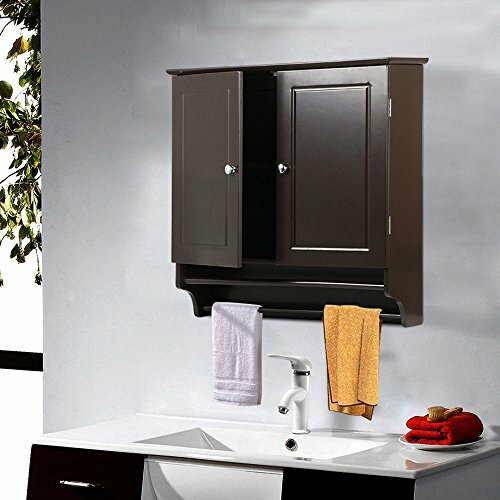 Espresso Wall Mount Bathroom Cabinet Laundry Kitchen Organizer 2 Doors by eXXtra Store at Baharta. Hurry! Limited time offer. Offer valid only while supplies last.